Dr. D. Neal Mastruserio has been a proud resident and practicing physician in the community of Upper Arlington since 1996. After board certification in dermatology, he worked alongside Drs. James Hamilton and Ann Ansel before creating his own practice, D. Neal Mastruserio, M.D., LLC in 2007. Supported by an outstanding staff, our goal is to provide the highest quality skin care possible in a warm, caring environment. 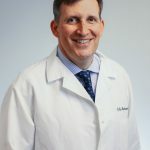 In addition to general dermatology, Dr. Mastruserio provides cosmetic procedures such as wrinkle reduction (Botox / Dysport), dermal fillers (Restylane / Juvederm), Fraxel Laser resurfacing, thermage skin tightening, laser hair removal, skin rejuvenation (chemical peels and age spot removal), and spider vein treatment (V-Beam laser and sclerotherapy). Surgical procedures include skin cancer, moles, cysts, lipomas, and skin tag removal. Browse through our website to see all services that we have to offer!